A bread lame (pronounced ‘lāhm’), is a tool that bakers use to cut decorative patterns into the dough prior to baking. It causes the steam to escape which creates a better rise and crisp crust. 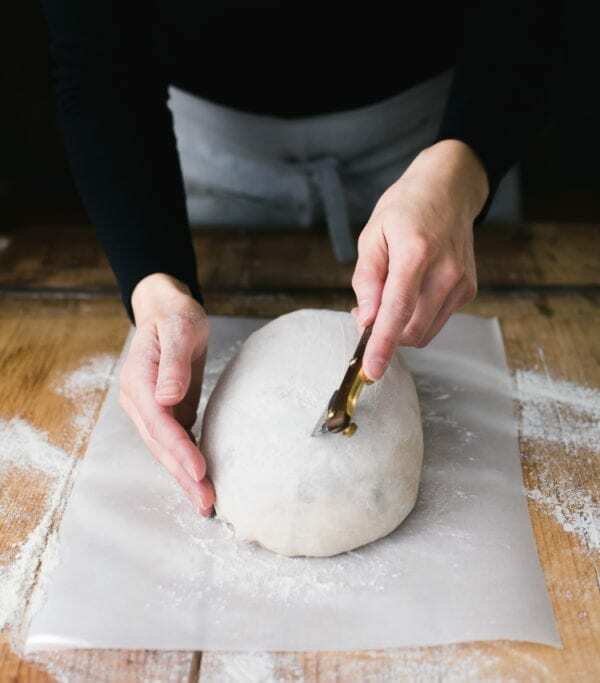 While you certainly don’t need a bread lame if you’re a beginner (using a small serrated knife is just fine! ), eventually you’ll graduate to this handy tool. You’ll have more control over the blade, giving you the confidence you need without hesitation. This is the exact model I use in Artisan Sourdough Made Simple.